Hi! 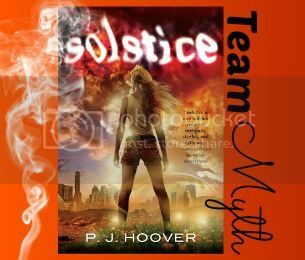 P. J. Hoover here, author of the upcoming dystopian/mythology YA novel, Solstice (Tor Teen, June 18, 2013), and today is a Character Spotlight from Solstice! Character spotlights are divided into two groups: Team Myth and Team Dystopia. Up today is Shayne from Team Myth! No, really. The guy can stop time. Tell me, how many guys do you know what have that trick up their sleeve? That’s what I thought. Stopping time is handy when you want a little bit of time away. And Shayne’s the perfect guy to spend that time with. But if time has been stopped, then is it really time that is being spent? 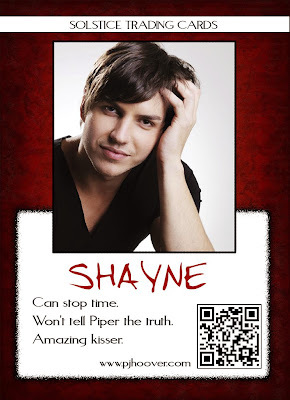 Shayne has some secrets. And the longer he keeps the secrets, the harder they are to spill. Why? Because he knows if he tells Piper the truth, people will get hurt. Maybe even die. And Shayne’s not willing to risk that. Thank you for following along on the blog tour, and thank you for reading! 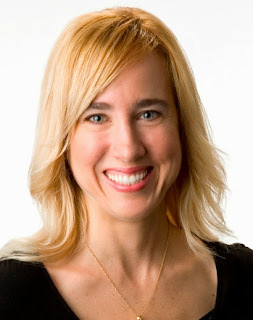 PJ is having a MASSIVE giveaway on her blog with 42 books total up for grabs! She is grouping them into 6 sets of 7 books. That means 6 chances to win!!!! 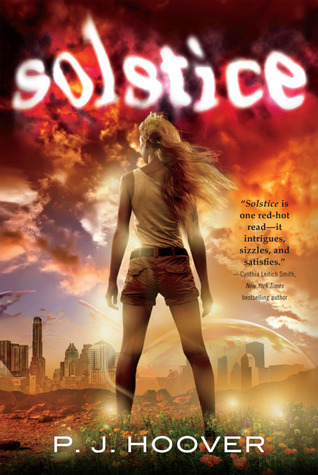 Thank you so much for featuring me and SOLSTICE! That's not how I pictured Shayne at all, I must admit.